After more than three months of hard work from Alexa developers around the world, the Alexa Skill Challenge: Tech for Good has concluded. Last week, we held our final judging event to determine the grand prize winner of this challenge from the 10 finalists selected. 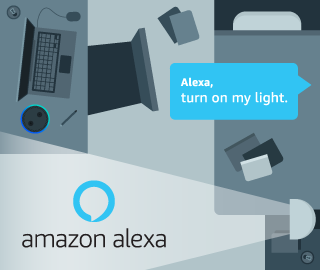 In July, we announced the Alexa Skills Challenge: Tech for Good. The challenge invited developers to build Alexa skills that could have a positive impact on the environment, local communities, and the world. We’ve finally narrowed down the 10 finalists and we’re excited to share them with you. There are 25 days left to the enter the Alexa Skills Challenge: Tech for Good. Follow these tips to build the best possible Alexa skills for good and enter the challenge. We’re thrilled to announce the Alexa Skills Challenge: Tech for Good with Devpost, an opportunity for you to create an Alexa skill that has a positive impact on the environment, your local community, and the world. Your skill can be in any category, as long as it has a positive impact on customers. Inspired to leverage voice technology to drive student engagement, OU embarked on a pilot project to develop Alexa skills with Echo devices. OU’s first skills were a proof of concept to help the university understand how to provide meaningful information with voice.